If you haven’t already got your Christmas lights up, it’s likely you’ll be getting to it any day now (better hurry up!). However, before you get started, it’s important to take a moment and think about safety. Christmas lights can be hazardous and have been responsible for starting many house fires. It’s not something any of us like to think about, especially at this time of year, so remember safety should always come first. Read these easy to follow guidelines to help keep your family safe. 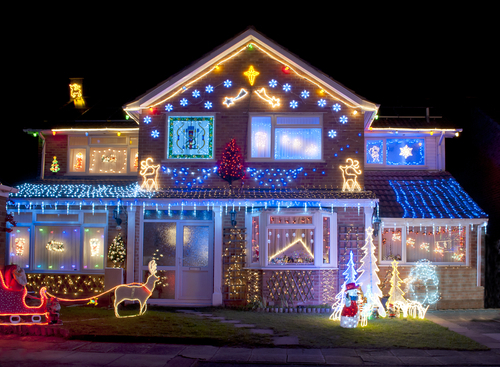 And if you’ve already got your lights up, it’s never too late to do some basic electrical checks. Probably the most important thing you can do is to thoroughly check over old lights. You need to ensure there are no obvious signs of wear or tear, and that globes are fitted properly. It is never ok to use light sets that have missing globes – anything could get into the socket and cause problems. Replacing your old Christmas lights with new light sets every few years is a good idea because sometimes wear and tear is not obvious. If you do purchase new lights, choose ones that meet Australian safety standards. You can identify these products by looking for an approval number or a regulatory compliance mark logo. Whether using new or old christmas lights, ALWAYS follow the manufacturer’s instructions. It may take a bit longer but it is worth it to prevent problems. Find more electrical safety tips, including a Christmas Lights Safety Checklist, here. How Can Your Local Southern Highlands Electrician Help? If you want added peace of mind, ask your electrician to check over your old lights to make sure they are safe to use. This is especially important if you are erecting large light displays. Electricians can also advise you about using extra-low voltage (LED or solar) outside to reduce your energy bills. At DMS Electrical, we have helped many of our customers in Picton and surrounding areas with their Christmas light displays. We work all over the Southern Highlands and Macarthur Region, as well as Sydney and Wollongong. Contact Us today.